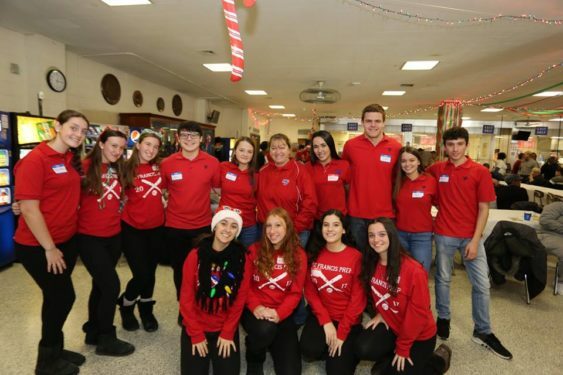 More than 200 student volunteers from St. Francis Preparatory School, Fresh Meadows, opened their school doors and their hearts to men and women with special needs from throughout Brooklyn and Queens. 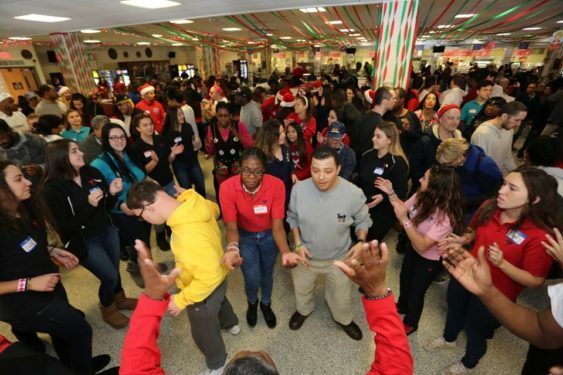 According to Suzanne Camus, Prep’s Social Studies teacher who organized the school’s annual “Christmas Party for Friends with Special Needs,” the tradition dates back a couple decades. 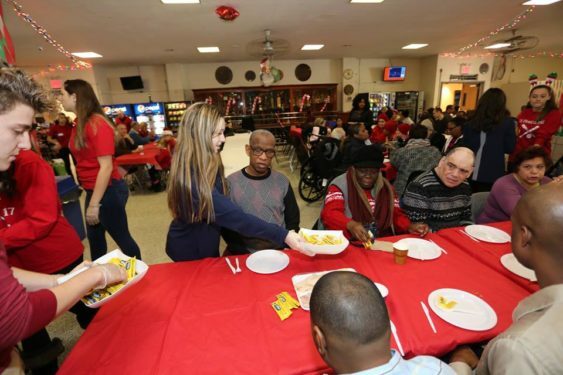 Little did those students realize that Sister Joseph taught them the true meaning of Christmas: service to others in the Franciscan tradition. Sister Joseph passed away in 2005, but Prep alumni and faculty worked together to keep the party alive in her memory. 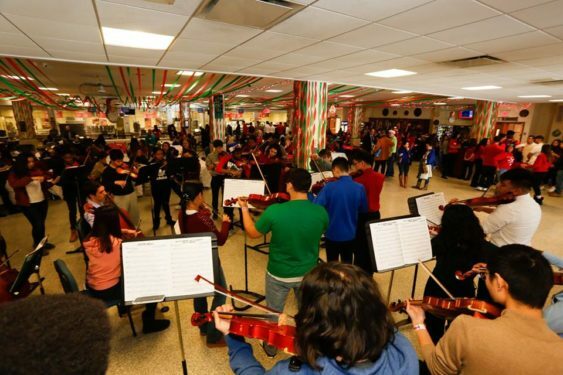 One Saturday before the Christmas recess took place, the lights went up around a Christmas tree and red and green ribbons decked the school’s hall. 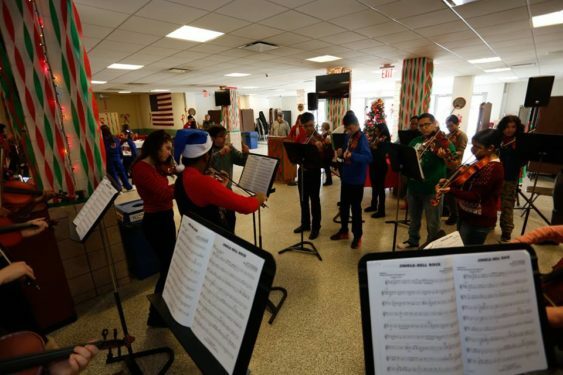 It was time for the party – which included a light breakfast, Mass, lunch, dancing to live music and performances by the school’s chamber orchestra and dance team. 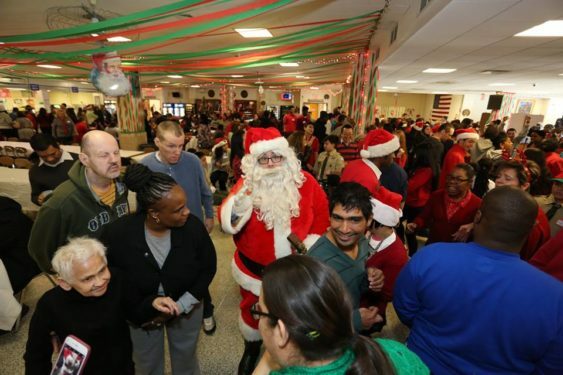 Since most guests who attend the event do not have families, the school made sure the guests took home Christmas gifts from Santa Claus.